Home » Do You Have Aviation Salary Information? Do You Have Aviation Salary Information? Companies can turn to Aviation Search Group to conduct aviation salary surveys and/or perform the entire search. There are many salary resources available online. They can vary and for the most part are inaccurate. Aviation Search Group highly recommends conducting a real-time aviation salary study. Offering candidates an accurate compensation not only increases the chances of landing top talent, but it also increases longevity. We utilize an industry unique, three-phase, Intelligent Recruiting (I.Q.R.) process that includes an accurate, real-time salary survey. This is an important part in determining what you should pay for your position. Companies can use this salary information to recruit candidates themselves or choose to have Aviation Search Group continue performing a full recruit. The full compensation study includes a list of possible candidates with salary information. 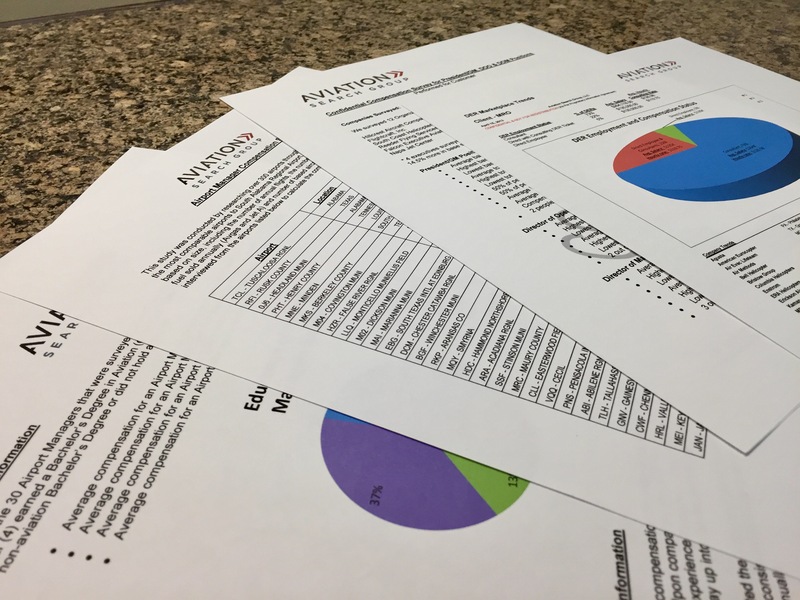 Aviation Search Group can customize the report to whatever criteria makes sense for your organization. We can help you identify candidate’s qualifications, interest level and/or proper aviation salary expectations. Aviation Search Group can customize a salary report to help you determine what to offer. Speak with us at (724) 547-7015 to learn more.